The United States has signed an agreement with ZTE that paves the way for the Chinese tech company to resume operations after a nearly three-month old ban on doing business with American suppliers, the U.S. Commerce Department has said. The ban on China's no. 2 telecommunications equipment maker will be removed once the company deposits US$400 million in an escrow account, the Commerce Department said, which it can do now that Commerce officials signed an escrow agreement. "Once ZTE has completed the US$400 million escrow deposit," the Commerce Department said in a statement, it will "issue a notice lifting the denial order." ZTE did not immediately respond to a request for comment. The escrow agreement is part of a US$1.4 billion settlement ZTE reached with the U.S. Commerce Department last month to regain access to U.S. suppliers, whose components it relies on for its smart phones and networking gear. The escrow account gives the United States an additional US$400 million if ZTE violates the settlement. 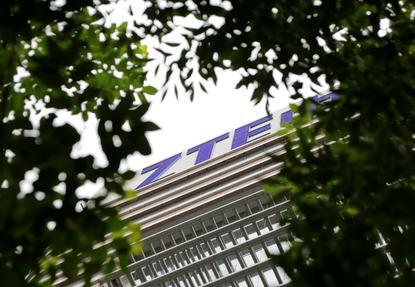 ZTE paid the $1 billion fine to the U.S. Treasury last month. Once lifted, ZTE, which employs around 80,000 people, is expected to restart major operations, which would remove a sticking point within the broader U.S.-China trade war. The reprieve for ZTE coincides with a new Trump administration threat of 10 per cent tariffs on US$200 billion of Chinese goods.